However, just three years into power, Kaunda realized that the Zambian tribes were not as united as he had previously thought. The first post independence UNIP convention saw a very bitter tribal fight. The Bemba—Tonga pact had at the UNIP convention bitterly defeated the Lozi—Nyanja alliance. Kapwepwe was elected UNIP’s vice-President to the consternation of Kaunda. Reuben Kamanga, an easterner, was soundly defeated. In fact, it was during this time, that some UNIP stalwarts started doubting Kaunda’s loyalty to the Bemba tribe since he had Malawian parentage. Kaunda knew very well that he needed to do something more to overcome this new era of tribalism that had started to engulf the nation. To overcome this, Kaunda retraced and reemphasized his loyalty as a Bemba subject of Chief Nkula in Chinsali. He also made a point to try and persuade Kapwepwe to step aside since two Bembas could not possibly hold two top positions in both UNIP and the government. Kapwepwe reluctantly obliged and Kaunda quickly brought in Mainza Chona, a Southerner to replace Kapwepwe. But this deeply displeased Kapwepwe and several other Bemba hegemonists, who later proceeded to found the UPP, a party whose principal popularity was in Luapula Province and its Copperbelt subsidiary of Mufulira. To cure the issue of tribalism Kaunda started what he called Tribal Balancing. In this new arrangement he made sure that the provinces were well represented in government. It was so intentional that you could actually predict who would be in Cabinet and who would not. In this new arrangement the position of Prime Minister was almost exclusively reserved for either Barotseland or Southern Province. Out of six Premiers, from 1973—1991, four were Lozis and the other two were Tonga. This was KK’s tribal balancing at its best. When Chiluba came into power, the intentional and deliberate tribal balancing was effectively overruled. Chiluba now claimed that he would appoint people on “merit.” However, it still remains to be answered why under Chiluba almost all Parastatal chiefs seemed to originate from Luapula Province. From just this it may be clear that appointment on merit may have meant tribal merit as well. But even if this is the reality with Chiluba, he was never accused of playing tribal politics. I guess if it were a Lenje doing the same thing, some vocal quarters could have condemned the practice. It seems like; there is an assumption, a disturbing one for that matter, among some Zambians that only non-Bemba speaking peoples are more capable of tribalism. This is obviously erroneous. It should be quite surprising that President Sata would in one breath appoint an exclusively Bemba cabinet and in the next condemn Hakainde Hichilema for tribalism. Of all the presidents, it is the Bemba-speaking presidents who in fact have appointed more of their tribesmen to power. Chiluba and Sata have appointed more Bembas in their cabinet and Parastatal companies. What is surprising is that in spite of this, these presidents still deny being tribal. When leaving power in 2001 Chiluba wanted to have a minority tribe to take over. 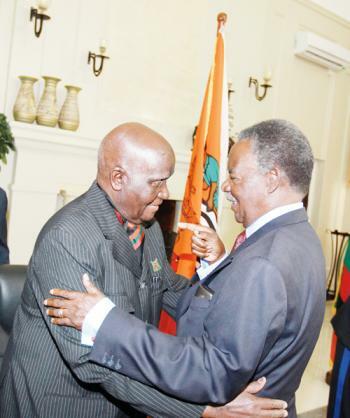 This honour obviously fell on Mwanawasa—of both Lamba and Lenje heritage. Even without objective evidence, Mwanawasa was quickly accused of appointing a family tree in his cabinet. Opposition leader Michael Sata was the main accuser. But once objectively assessed you will notice that Mwanawasa’s cabinet was more tribally balanced than any other in history. Mwanawasa also brought in some tribal diversity in Parastatal companies. However, when he appointed Sisala as ZESCO Managing Director, more tribalistic accusations were leveled against him. This again plays to my thesis that several Zambians believe, erroneously, that only non-Bembas are more capable of tribalism. Under the Rupiah Banda presidency, the issue of tribalism took on a new shape all together. What was even more surprising with Rupiah Banda is that in spite of only having five easterners in his cabinet, opposition leader Michael Sata repeatedly accused Banda of practicing tribalism. Five easterners in Rupiah Banda’s government by far pale the over 70% Bembas in Michael Sata’s government. President Sata has appointed more of his tribesmen to both Cabinet and the diplomatic service. But in spite of this, he still denies that he is a tribalist. I don’t know what measures tribalism better than a president’s exercise of prerogative powers. If a president appoints more of his tribesmen than any other tribe, surely, we could easily conclude that tribe must be playing a more prominent role than any other consideration. The idea that this president tries to balance brains is even more insulting to other tribes considering that these so called brains are derived primarily from Luapula-Muchinga-Northern corridor. In the Bible both Joshua and Moses were repeatedly asked to choose men from each tribe of Israel. Tribal balancing does have some biblical basis as well. Tribalism is alive and well in PF because President Sata tolerates and in fact, flourishes in it. Action speaks louder than words. If President Sata wants to put a stop to this tribal nonsense, then he must act and act decisively. The president should not be seen to be acting with a forked tongue – condemning GBM and his group while at the same time doing nothing concrete to put a stop to GBM’s tribal crusade, as alleged by Wynter. But to add more salt to injury just this week His Excellency sent two more Bembas to the diplomatic service. Tribal diversity should be the bedrock of our republic. No one should be ashamed of his or her tribe and no one should be made to think lowly of their heritage. The rivers of our national identity pass through the valleys of tribal and ethnic diversity. The dream of One Zambia, One Nation is not a motto that obliterates differences, but a tool that unites diversity for the national good. In Zambia, all people from all tribes and ethnic groups should feel a part of their country. From Mongu to Mwansabombwe and from Milanzi to Milenge, it should be clear that our country is better and stronger once diversity is not only recognized but also respected. Our national motto is One Zambia One Nation and not One Bemba One Nation. It should be simple common sense to realize that a little tribal balancing could help foster unity more than this crass preference for the peoples of Luapula-Muchinga-Northern corridor.